Mazes are a childhood staple. The endless school days, staring at the clock waiting for final minutes of class to be over is typically when a maze would be thrown into the hands of an attention-strained student. That is when a seemingly impossible game could turn into a mind-bending plight. Twists and turns, zig zags and dead ends—a maze can appear unsolvable. 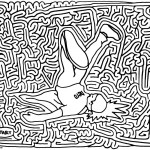 For artist Eric Eckert, completing a maze was never his goal, but creating those complicated, interesting routes became his focus. 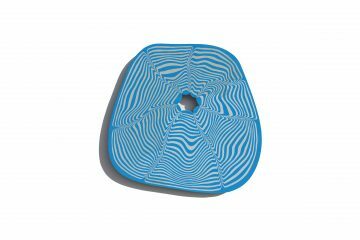 What launched as simple mazes, Eckert quickly began working creatively towards coming up with new, more obscure ways of designing mazes. 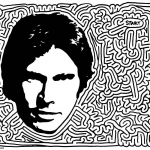 It was a few years ago that the Nebraska native began incorporating well-known celebrities into his mazes, an artistic method that drew attention and notoriety to Eckert’s creations. 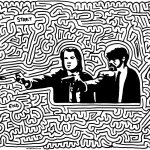 From the faces of Bob’s Burgers and Quentin Tarantino films to skateboard VIPs, Eckert’s topical mazes never cease to amaze. 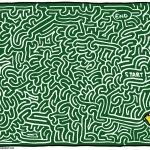 Read up on Eckert to understand the maze-drawing craze, and how it has continued to open doors for him along the way. Give us your run down. What does a day in the life of Eric consist of? 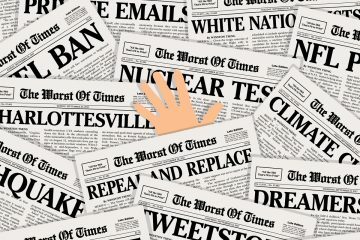 I run the digital department at the York News-Times in York, Nebraska. My day usually consists of updating our website, shooting photos & videos and working on projects for clients. I’ve also got a wife, 2 kids and try to sneak some skateboarding in when I have free time. Drawing mazes seems like it takes an incredible amount of creative capabilities. When did you start drawing mazes and was it initially a difficult task? How long does it take you to draw a maze? I started drawing mazes when I was 7 and in an after school program. Another kid was drawing really basic mazes and showed me how. After that I just kept making them and trying to come up with new ideas to make them more interesting and complicated. Now I’m 34 and I haven’t stopped yet. I’ve never really found it to be difficult, I just start drawing and the mazes comes out. A few years ago we were creating blogs on our website and since I can’t write well I decided that I should just draw a maze every day. To make them more creative I started adding celebrity faces into them and then eventually added skateboarders. The mazes I draw on a daily basis are on an 8.5×11 sheet of paper and take me about 15 minutes to draw. I think people are pleasantly surprised to find that your mazes are more than just the ones that are handed out in junior high to make the time pass. 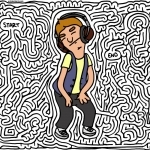 Your mazes are one of a kind, artistic and entertaining. 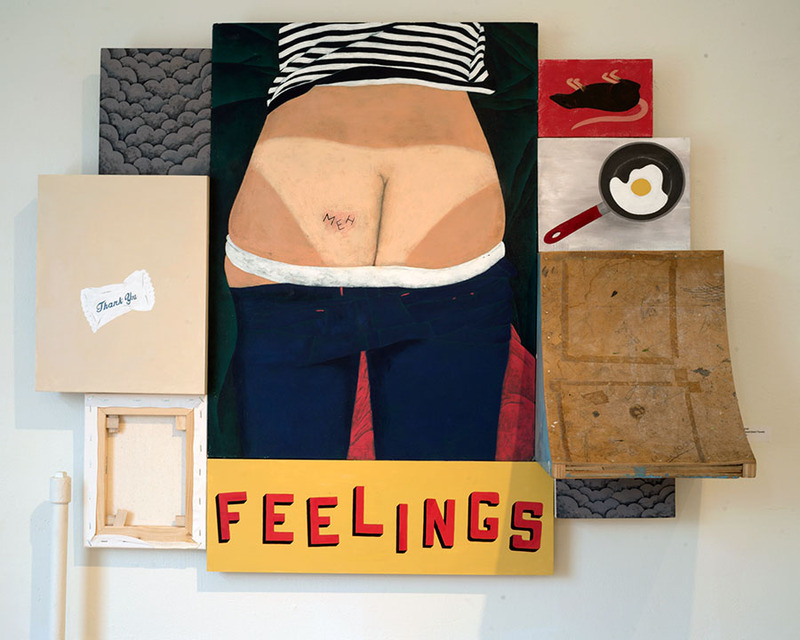 What sort of reactions have you received from your maze art? When did you start noticing that people were appreciating your mazes? My cousin convinced me to get on Twitter a few years ago to try and get the celebrities that I was putting into the mazes to actually see them. That really turned a corner for me because I got retweets and comments from Conan O’Brien, Kevin Smith, Kat Von D and dozens of others. It was motivating and exciting to see the responses. Then I started my Instagram account at the beginning of 2014 and it really blew up. Skateboarders are pretty down to earth people and they have loved the skate mazes. 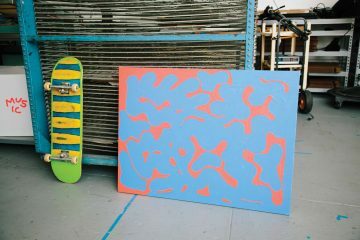 I’ve been featuring in the Skateboard Mag and just had a skate deck come out with Enjoi. You drew a maze on your wall and it took you 35 hours to complete. Tell me about this. I wanted to do something crazy and before that I think the largest maze I’d done was 24×36 or so. My wife gave me permission to do the walls of my home office so I just started and didn’t really know what I was getting into. It was a lot harder than I anticipated because I didn’t realize how often I rotate the piece of paper I’m drawing on. I would have to use a ladder for the highest parts and then lay flat on the ground for the lowest. The largest amount of time spent at one shot was on a day that my mother in law was visiting and she was busy with my wife and daughters. I spent 8 straight hours drawing that day. It was definitely tough but it turned out super rad and it was totally worth it. What is the craziest object you have ever turned into a maze? When did you start drawing faces in your mazes and what is the process like in choosing the people/characters you will feature? The faces really came out of trying to see how I could get more exposure. I figured out that people love celebrities so if I include the face of someone they like in the maze, they are more likely to like the maze itself. At first I really just went into Twitter and would try to figure out people with a decent number of followers who also appeared to retweet fans. That worked pretty well. Nowadays I try to only draw people and brands that I support. Skateboarding is a huge part of your life. 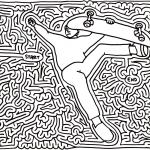 How has the skateboarding network translated into companies such as Enjoi using your mazes on their boards? 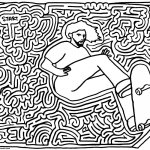 The skate community has been absolutely incredible with my mazes. Not only do they like, comment and regram the mazes a lot, but I’ve gotten lots of commissioned work from skaters. 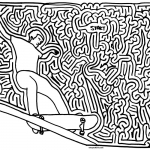 I’ve said for years that one of my life goals would be to get a skateboard deck made with a maze on it. One day I got a message from a graphics guy with Enjoi and he asked if I’d be down to draw a deck for them. I was so stoked. Out of all the board companies, Enjoi was my top choice for someone I wanted to draw for. There are so many skaters and skate companies that have supported me even beyond that and I’m super grateful for all the opportunities. Have you ever worked with clothing companies or any other sort of retailer? If not, could you imagine this happening in the future and would you like it to? 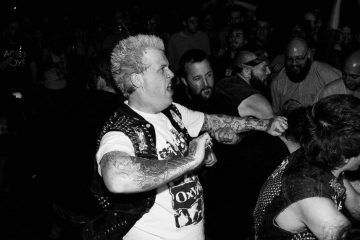 I’m actually working with a company right now to start doing some shirts and I’ve had some interest expressed from a few others as well. I’m definitely down for drawing mazes on anything and everything, so if someone wants me to do it, it’ll probably happen.